A soft sided portable dog crate works great if you want easy set up and take down, for traveling or for indoor or outdoor use. I am going to give you a review of my #1 soft sided portable dog crate and let you know what I think are the pros and cons to this portable dog crate. I will also let you know what type of dogs this crate works well for, and what type of dogs you shouldn’t use this type of crate for. Please read on to see if this is the crate you have been looking for. The strongest reason that most dog owners are looking for a soft portable crate is because they want to use the crate for when they are on the go. It needs to be lightweight, easy to set-up and keep your dog secure. The Noz2Noz Soft Krater will fit all of those needs. This crate is ready for travel at any time and is easy to assemble with just taking seconds to set up. It is lightweight and folds flat, making it easy to move around or for storage. 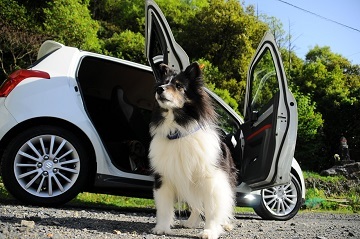 It will fit in the back of SUV’s, giving your dog a safe place to ride, it is easy to set up if traveling for use in a hotel, and can be a crate that you use at a park for a family gathering. Take a look at this video showing you how easy you will be able to set up this soft sided portable dog crate. The frame of this crate is made of extra-strong durable steel frame. It is lightweight, but strong. The sides are made with a heavy-duty tight weave mesh fabric. The mesh panels provide not only plenty of air flow, but also provides your dog with a view all around him. This will help them feel less anxious by being able to see what is happening around them. 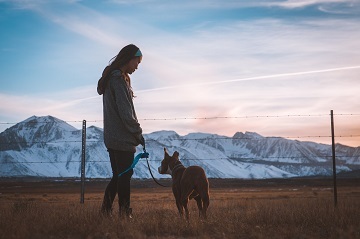 Bring your dog along on your travels. Noz2Noz Soft Krater makes it easy to travel. All the corners are reinforced and are rounded to help protect your home or the interior of your car when you dog is moving around in their crate from damage. The base of the crate is constructed with water resistant material, providing safety from dog accidents or spilled water in the crate. You can quickly clean up with a damp cloth and let air dry. If your pal had an accident in the crate, you might want to use a stain and odor remover like Nature’s Miracle to remove the odor. The Noz2Noz Soft Krater comes fully assembled. You simply lift the inner bars, snap them together and zip the top zipper to have an operational crate for your dog. When the unit is collapsed, you can easily keep is fastened together with the provided straps and buckles. There are 3 openings with this crate, making it easy for your dog to enter and exit the crate no matter how you have the crate turned. There is a door on the top, front and side of this crate. For extensive cleaning, remove the washable cover from the steel frame and toss it in the washing machine. The smallest size crate comes with a handle allowing you to carry the crate with your dog inside if necessary. There are 5 sizes available, which will help accommodate almost any sized dog. Check out the chart below to find the size that best fits your dog. If you need to measure your dog, you should measure your dog’s height from the floor to the top of their head and add 2″ and measure from the tip of their nose to base of their tail and add 4″ to 6″. This will allow your dog enough room to stand up, turn around and lay down comfortably. It is easy to travel with your dog when you have a soft sided portable dog crate. If it turns out this isn’t a good crate choice for your dog, or if you need more additional information in general about buying dog crates, you can take a look at this article on indoor dog crates. If you are looking for a soft sided portable dog crate, I think you should look no further than the Noz2Noz Soft Krater dog crate. This Noz2Noz Soft Krater Review should provide you with the information needed to decide if this crate will work with the personality of your dog. I have looked at many soft portable dog crates, and this one really stands out as being a great crate for the money. You can add a dog bed to the soft crate to make it more comfortable for your dog as well. If you are adding a dog bed, depending on how tall the bed is, you might want to go to the next size up for your dog if they are close to the maximum height. Most dog beds will probably take away 2″ of height. I hope you and your dog enjoy you new portable dog crate.